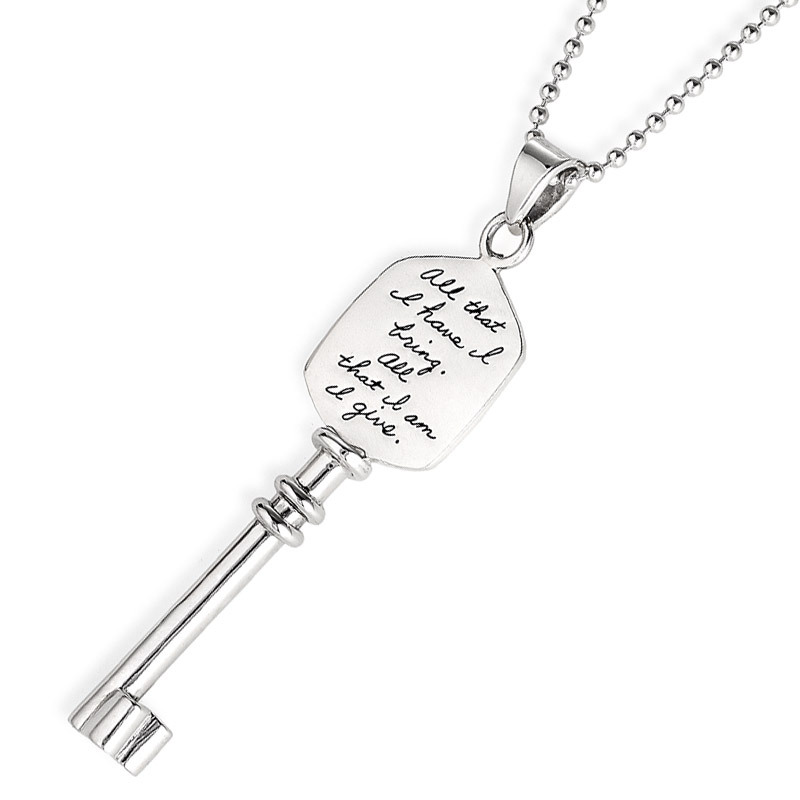 What more meaningful gift is there than the key to your heart? Share a physical representation of that spiritual key with this delightful sterling silver pendant. We carefully craft each detailed key from the finest sterling silver. A bead chain and loop connection add extra visual interest. Whether you’re ready to say “I love you” for the first time or the millionth time, this token of affection is a memorable way to mark a special moment. The quote, “All that I have, I bring. All that I am, I give,” comes from Christina Rossetti’s 1864 poem, Twice. Let this bracelet inspire you to create your own love poem and dedicate it to the one who you love with all of your being.